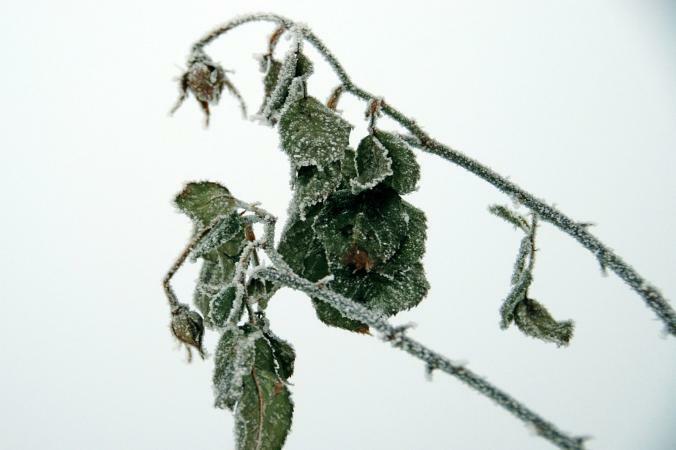 The symptoms of cold weather shocked plants aren't hard to spot. If you were late taking in your houseplants or tropical plants, or you simply wonder what happened to your flower garden, knowing the symptoms of cold weather shocked plants will help you nurture your plants back to good health or deal with your losses. 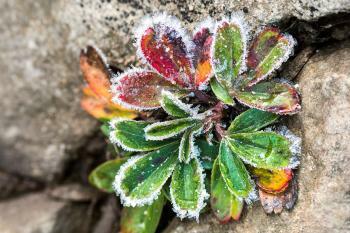 Most annual and perennial flowers, vegetable and herb plants respond similarly to cold temperatures. 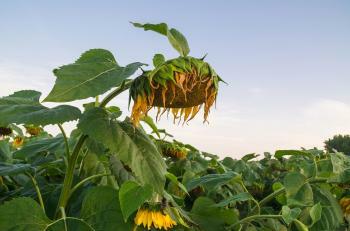 When the temperatures begin to drop in the fall, they stop or slow down flowering and growth. 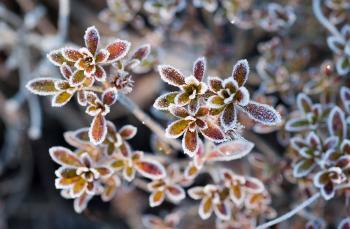 By the time the first frost hits, the plants are either wrapping up their summer of blooms or caught unawares. When temperatures drop to around 32 degrees Fahrenheit, frost forms on the ground from water vapor that condenses and freezes. As the blast of arctic air hits the plant's leaves, the water inside the leaves freezes. Think about an ice cube tray that you put into your freezer. Each compartment is filled with water. If you could glimpse into a plant's leaves, you'd see a similar arrangement of square-shaped plant cells. Each cell has a rigid outer wall, with the inside filled with water and cell structures. When temperatures drop below freezing, just like the water in the ice cube tray, the water inside each cell freezes. This damages the cells, causing damage to the plant. The symptoms of shock are easily detected. First, note whether or not the temperatures outside are cold enough to produce shock. Depending on the plant, that can start somewhere near 50 to 60 degrees and below. If the temperatures outside were warm, look for other issues such as insects or diseases. The main symptoms are drooping and discoloration of leaves. Leaves will curl or droop. This is caused by the cell damage. As the cells are damaged, they lose their rigidity, causing the leaves to droop. Look for white, yellow or red marks near the veins in the leaves. These are spots of dead cells killed by frost. In some plants, not all cells will be affected immediately. Areas that were hit by the cold will turn these colors and the leaves may eventually die and fall off the plant. 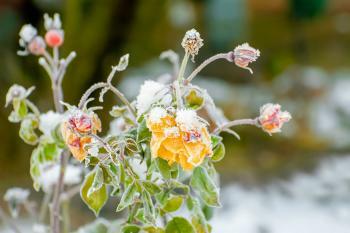 If your plants seem to have been damaged by cold weather, don't panic. Remove the plant into a warmer area as soon as possible. Bring houseplants and potted plants indoors, or begin winter preparations immediately. Just leave the plant alone and give it warmth. Like a person, it will stop shivering soon and will recover. While the damage to the leaves is permanent, plants are pretty resilient. If the leaves are severely damaged, they will die and fall off. New leaves should take their place. It may take several weeks or months to see full recovery, but given warmth, proper light and water, most plants bounce right back.